Join us in our monthly nursing home ministry to the residents at Infinity Care. This is a great opportunity to bless those marginalized by society and to share the love of Christ! We meet in front to pray before going in at 2pm. We often share a short devotional or presentation before celebrating resident birthdays and playing games. If you would like to serve with us, please rsvp by clicking HERE. Join us at our monthly prayer meeting to pray together for our church, for the city, for the world, and for one another. We also get to hear the testimonies of how God is working in the lives of some of our members at the prayer meeting. We will meet on the 3rd floor at 11:15am. Sunday School and Lunch Fellowship will be on break from May 26th through August 11th. Worship service will still be at 1pm. It can be easy to get caught up in our personal and work lives during the week without really considering the basis and implications of our faith. Join us once a month when we meet at someone's house to eat dinner together but also discuss the implications and struggles of our faith in the areas of work, money, church, relationships, and future. 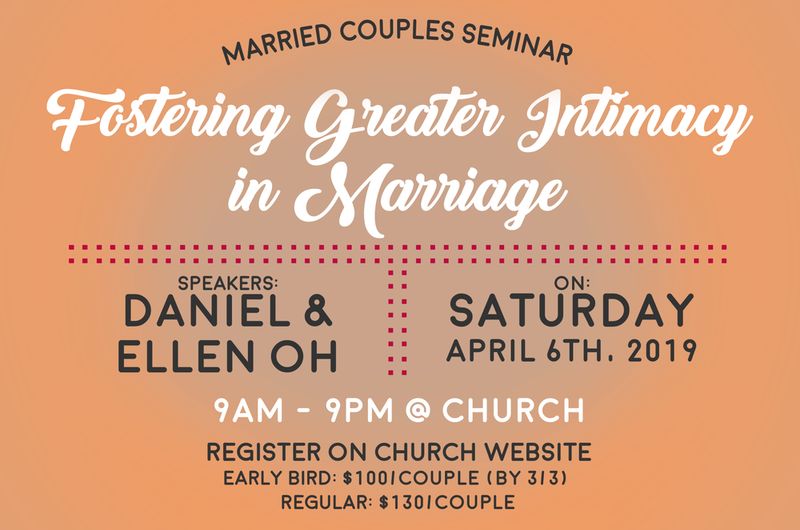 We will be meeting this month in Encino. If you have any questions or for the address, please contact Pastor Aaron Sunu. The Women’s Ministry is having a “Cookie Decorating Event” at church (3rd floor) on Saturday, June 1st at 9:30am. This will be a great time for the women of our church to connect and spend quality time together while doing something fun! If you would like sign up, please fill out the form below by May 19. Join us for a Good Friday service on Friday, April 19th at 7:30pm. We will spend time reflecting and meditating on the death of Jesus in addition to partaking of the Lord's Supper together. We will be meeting at church in the south side chapel. If you have any questions, please email us at Office@LivingFaithLA.com. It can be easy to get caught up in our personal and work lives during the week. Join us once a month when we meet at someone's house to eat dinner together but also discuss the implications and struggles of our faith in the areas of work, money, church, relationships, and future while engaging the culture. Join us in March for a study on “Prayer”. Join us once a month when we meet at someone's house to eat dinner together but also discuss the implications and struggles of our faith in the areas of work, money, church, relationships, and future while engaging the culture. 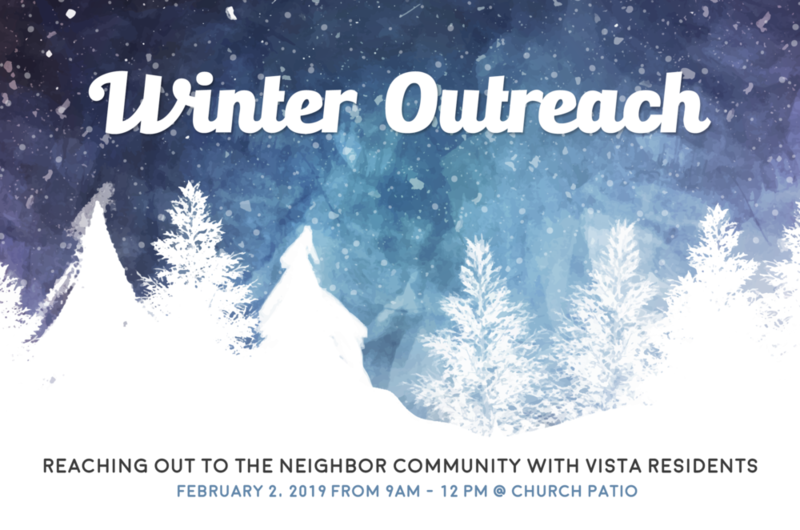 We have a wonderful opportunity on Saturday, February 2nd at 8:30am to serve with the Vista residents & staff to bless our immediate community! We will be providing food in addition to giving away donated items at the church patio (facing Pico). Children are also welcome to join us! We would love it if you could join us on the day of the event to serve and engage with those who come out. We need people to help serve lunch, pass out some winter essentials, sort through the donated clothing, and just hang out. We need donations of new socks, gloves and scarves. We would like to hand out gift bags to those who come to the event and help them prepare for the colder weather. Join us as we reflect and pray with thanksgiving for this past 2018 but also with hope and great expectation for the upcoming 2019 year. We thank God for His goodness & faithfulness as we celebrate our 6th anniversary at Living Faith! There is a special fellowship planned after worship so please be sure to join us! If you want to know more about our history, click here to read our story. Our annual Thanksgiving Fellowship will be on Sunday, November 18th after worship at church on the 4th floor (gym). Sunday School and Lunch Fellowship will be on break this winter from November 18th through December 23rd. Worship service will still be at 1pm in the main sanctuary. Please note the prayer meetings on December 2nd and 30th. Join us on August 19 for Baptism Sunday during our 1pm worship service. This is a wonderful opportunity for us to witness the covenant sign of baptism administered for two of our infants as they enter the covenant community of LFPC. Let us together support these families and pray for God to bring about the spiritual realities, or seal, of the covenant sign in the hearts of these infants. Our 5th Annual Men's Retreat is coming up on July 27-29. It will be a great time for the men of Living Faith to fellowship and grow deeper in their love for God and for one another. This year we will be camping close by in Malibu so hopefully many of you can make it! There will be a "New Member Service" on Sunday, July 22nd. It will be a wonderful time to recognize and celebrate God's grace over those becoming members of our church. Please join and celebrate with us on this special day. If you have any questions, please email us at Office@LivingFaithLA.com.